On 22nd June 2015, the film music world was rocked by the sudden loss of one of its titans. James Horner, illustrious composer of such sweeping works as Titanic, Braveheart and Avatar, was tragically killed in a plane crash at the age of 61. The news was confirmed via his personal assistant's Facebook page and the great and good of the film industry came forth to pay tribute, including director Ron Howard with whom Horner worked seven times and who praised the composer as a "friend and collaborator". It didn't seem right, losing such a talented composer far too soon. However, Horner's legacy is so extraordinary that he is destined to live on forever through his music. Any number of his iconic works are imprinted on generations of filmgoers, this reviewer included – and there can surely be no clearer sign of a film composer's formidable status. Born in Los Angeles in 1953, Horner proved himself proficient on the piano at a young age and travelled to England to train at the Royal College of Music. Returning to his home state of California in the 1970s, he received his bachelor's degree in music from the University of Southern California. Having earned his masters and starting work on his doctorate, Horner began making in-roads towards an astonishing career, one that began with work for noted B-movie filmmaker Roger Corman. 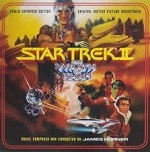 Although his first officially credited film score was 1979 movie Lady in Red, perhaps Horner's most noteworthy early success was his rollicking, exuberant score for Corman's 1980 movie Battle Beyond the Stars, a soundtrack that established Horner's lushly melodic and often adventurous approach. His big break however was for a sci-fi movie on an altogether more prestigious scale: 1982's Star Trek II: The Wrath of Khan. Replacing the previous film's composer Jerry Goldsmith, Horner's swashbuckling score was to prove hugely influential on the rest of his career and helped open doors in Hollywood. The rest of the decade proved to be the making of the composer, with noteworthy highlights including his first Oscar nomination for James Cameron's epic Aliens (famously composed under much duress), Don Bluth animations An American Tail and The Land Before Time, and fantasy adventure Krull, the latter proving to be an enduringly popular favourite throughout his career. 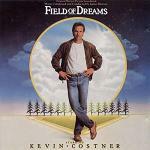 However, quite possibly his two finest scores from that decade came at the tail end: the 1989 double-whammy of Field of Dreams and Glory. Each of these scores demonstrated Horner's underrated penchant for versatility and adaptability: often unfairly pigeonholed as the go-to guy for slushy, maudlin epics, the ethereal Field of Dreams proved he could do subtlety with the best of them. Glory meanwhile is surely one of the most haunting war movie soundtracks ever composed, with its astonishing choral work acting as a lament for the carnage of the American Civil War. The start of the 1990s was perhaps a relatively lean period with somewhat underwhelming works for thrillers like The Pelican Brief, although interspersed was one of Horner's greatest scores: The Rocketeer. Soaring off the back of its irresistibly punchy brass melody, The Rocketeer wrapped up all of Horner's popular orchestral mannerisms in one package. However, it was undoubtedly the mid-1990s that saw Horner's greatest period of creativity. 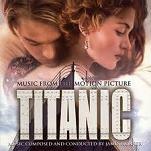 Beginning with his melodramatic masterpiece Legends of the Fall in 1994, Horner then went through an astonishing purple patch that encompassed the Oscar nominated Braveheart and Apollo 13, Balto, the sadly overlooked, lyrical The Spitfire Grill and, in 1997, Titanic, destined to become his most famous work. Re-uniting with James Cameron following their heated collaboration on Aliens, Horner's blend of Celtic rhythms and ethereal new age instrumentation was surely as important as anything in securing the billion dollar success of the director's disaster epic, and it won him his first Oscar. Horner's haunting melody also formed the basis of the much-derided Celine Dion chart-topper "My Heart Will Go On", also an Oscar winner. The following years saw noteworthy works such as the terrific, flamenco-influenced The Mask of Zorro, Iris (with its heartrending violin solos by Joshua Bell) and his controversial score for Brad Pitt mythological adventure Troy, which saw Horner replace original composer Gabriel Yared. However, his output seemed to slow throughout the mid-2000s, Horner seemingly tiring of an industry in which film scores came under greater scrutiny and were micro-managed at every turn. It seemed as if his romantic, unashamedly emotional style had gone out of fashion in an era where processed sound design and artificially beefed up orchestras were de rigeur. His oft-cited tendency to plagiarise not only his own work but that of the classical composers who inspired him also repeatedly generated controversy, although his dramatic intuition and emotional sincerity was never in doubt. However, Horner's third (and as it turns out final) collaboration with Cameron, 2009's record-breaking Avatar, proved Horner still had it in him, the composer fusing the tribal styles of his 2006 work Apocalypto with the tender romance of The Spitfire Grill and the robust action stylings of much of his previous scores. In fact, Cameron demanded Horner work on no other score whilst writing Avatar, and the resulting richly detailed soundscape yielded another Oscar nomination. After a few relatively quiet years, it was delightful when Horner re-emerged in 2012 with his classy, spectacular score for Marc Webb's The Amazing Spider-Man, a superhero soundtrack that proved the old ways really were the best, and that memorable themes still had something of value in the world of film music. And although Horner enjoyed as tempestuous a relationship with Hollywood as the vast majority of film composers (2013 saw him replaced on a series of movies, including Romeo and Juliet), he nevertheless established key relationships with several noted filmmakers. In addition to his work with James Cameron, perhaps his most feted partnership was with Ron Howard, with whom he worked on the likes of Cocoon, Willow and A Beautiful Mind. At the time of his death, Horner had completed scoring on Antoine Fuqua's boxing drama Southpaw and had recently scored sweeping adventure Wolf Totem for another of his regular collaborators, Jean Jacques-Annaud. 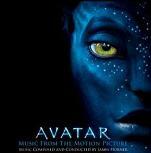 He had also completed a concert work and was due to start on Cameron's Avatar sequels. More than ever, it seemed Horner was being drawn back into the Hollywood fold, which makes his untimely death all the more tragic. However, with such a remarkable legacy of stirring, breathtaking, beautiful work left behind, he will forever live on in our hearts, evoking tears of joy and sadness. James Horner once said that he approached music as an art form – if film scoring had a painter, he was its Monet: one of a kind and destined to be missed. 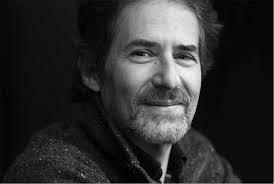 James Horner is survived by his wife Sarah and their two daughters. James Horner is survived by his wife Sarah and their two daughters. Click here to listen to our Spotify playlist of James Horner scores.